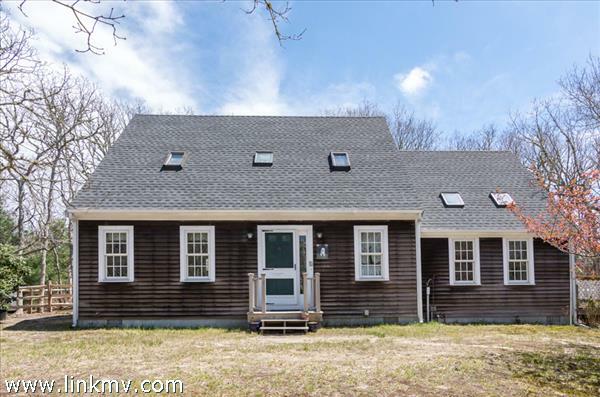 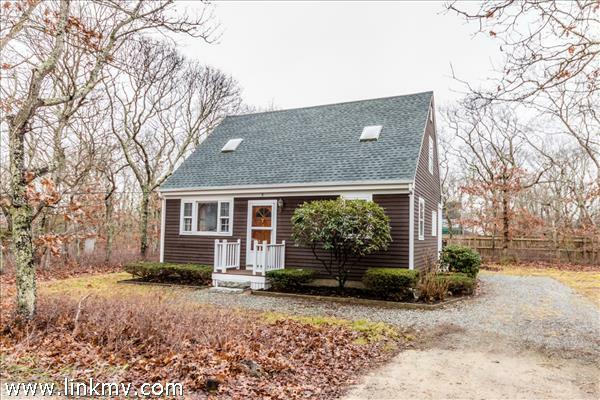 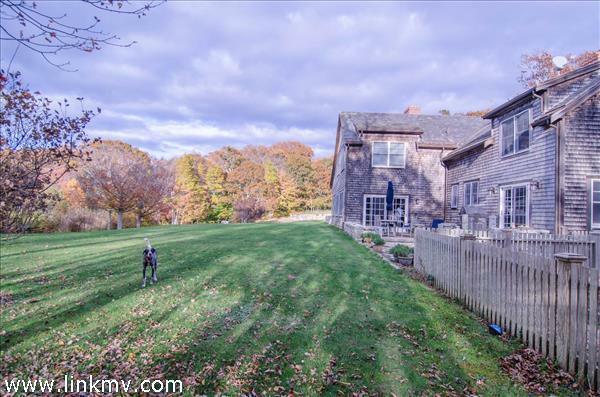 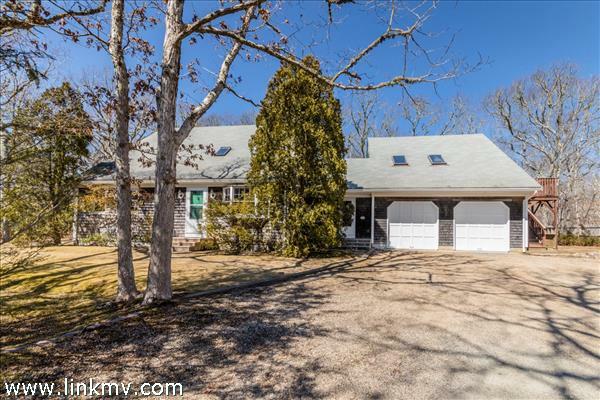 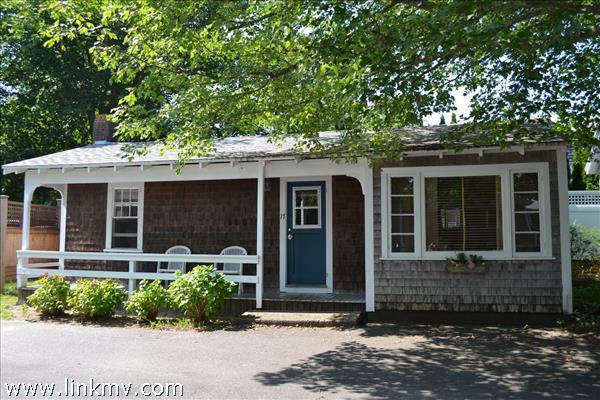 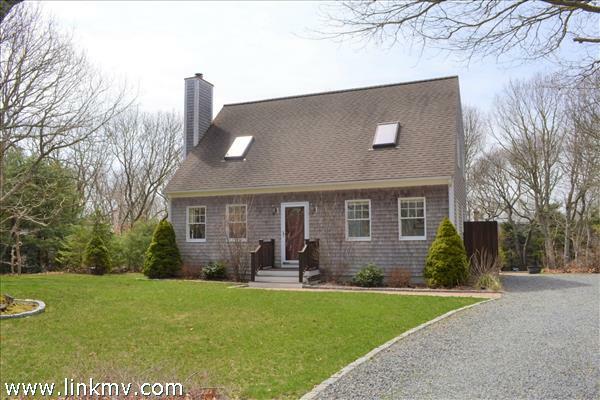 Rare Opportunity to Own One of The Nicest Winterized Homes in Chilmark. 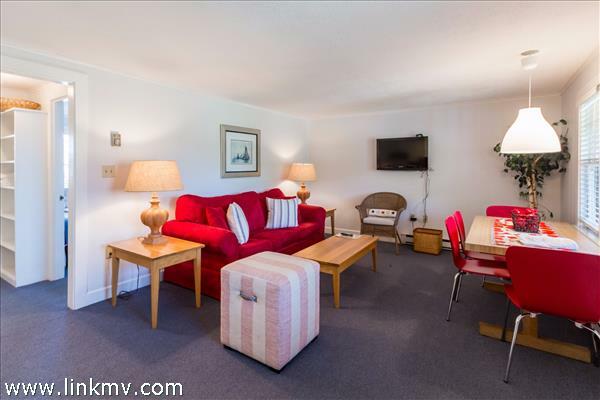 This Furnished Turnkey House Has It All, And Could Either Be a Great Income Property Or a Great Place to Call Home. 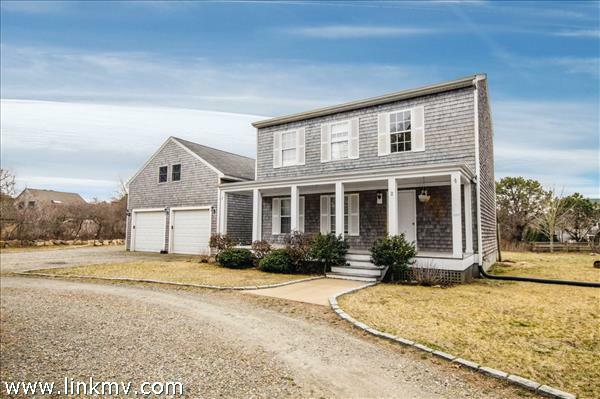 5 Bedrooms, 4 Full Bathrooms (Jacuzzi in master bathroom), 2 Half Bathrooms, Chef's Kitchen (Thermador Gas Oven/Range, Sub-Zero Refrigerator/Freezer, Dishwasher, Microwave), Breakfast Bar, Huge Living Room, Reclaimed Wood Beams and Columns, Vaulted Ceilings, Laundry Room, Insulated Garage, Finished Basement with Movie Theater, Arcade (Billiards, Jukebox, Pinball, Darts, Video Games), Home Office, Wine Cellar, and very large Walk-In Cedar Closet, Tennis Court, Bocce Court, Outdoor Jacuzzi, Steam Room/Spa, Massive Deck w/ Large Viking Gas Grill, 2 Outdoor Showers (if you go to MV with your family during the summer, you realize how valuable it is to have 2 outdoor showers), Roof Deck, Stone Walls Around Yard and Tennis Court, and a Beautiful Landscape, equipped with Irrigation/Sprinkler System and Shed for Storage. 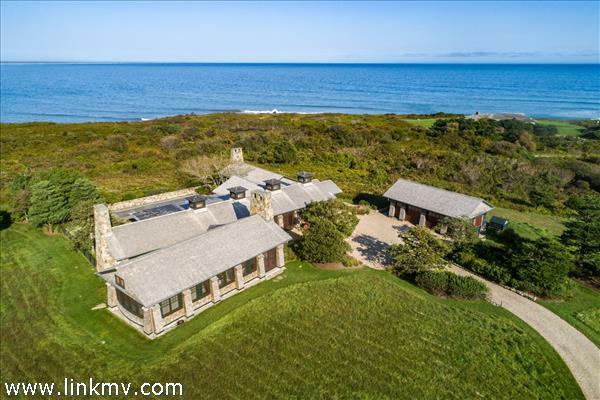 Built By Tom Burke. 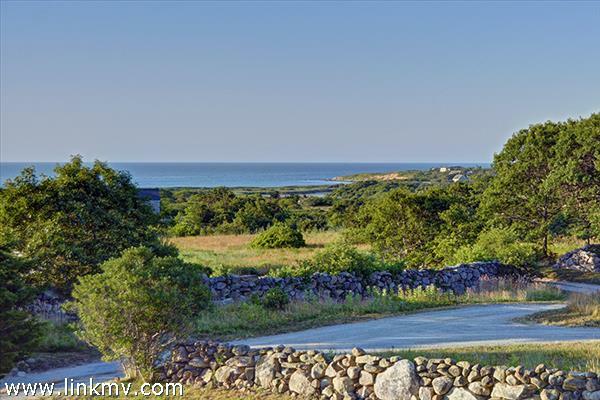 Endless Atlantic Ocean views, Squibnocket Pond, rolling hillsides, dramatic vistas, centuries old stone walls, gravel roads... these are just some of the features of this extraordinary property new to market for the first time in nearly fifty five years. 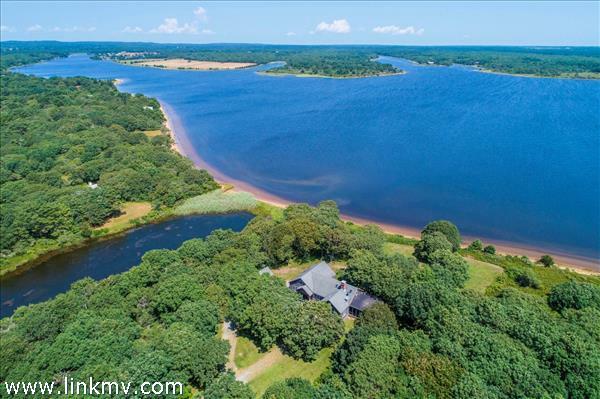 This architect designed modern Cape Cod home with five bedrooms and two and one half baths on nearly three acres can be your summer place. 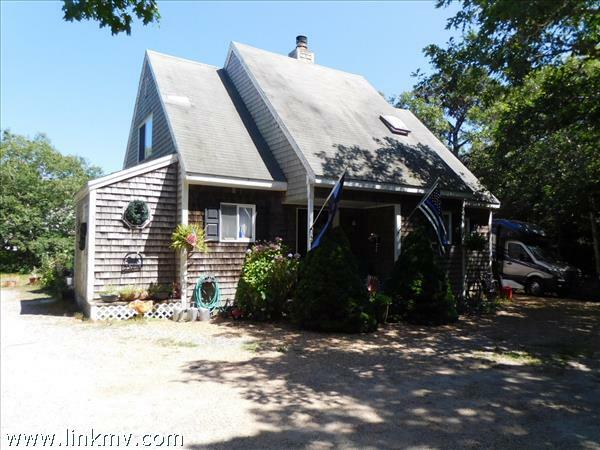 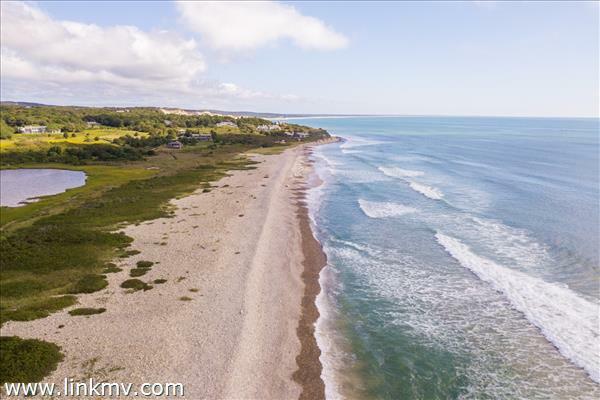 Swim, kayak, row or clam in Nashaquitsa Pond, surf at Squibnocket or relax and enjoy the unspoiled, crowd free beach at Zacks in Aquinnah (with membership). 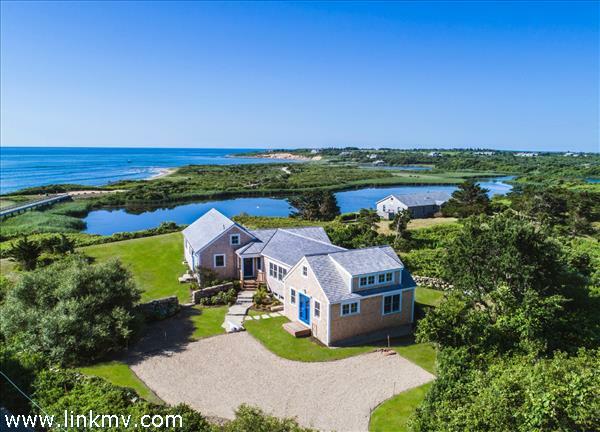 Perched above and just steps from beloved Squibnocket Beach and Pond, this idyllic beach house has amazing views of the Atlantic and shoreline out to Squibnocket Point. 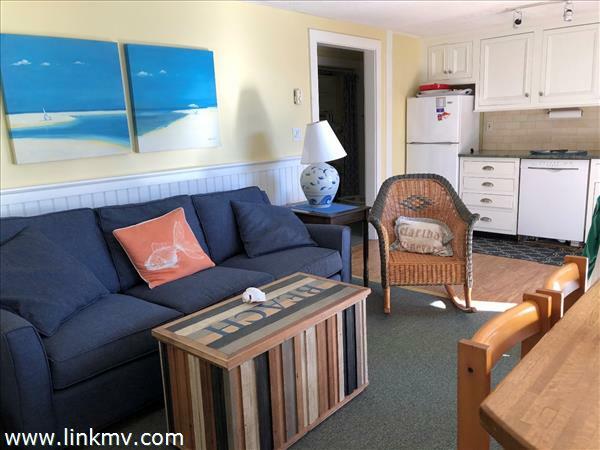 It has been fully renovated with many tasteful, modern enhancements and sustainably-sourced materials, and yet retains some of the most charming elements of its past. 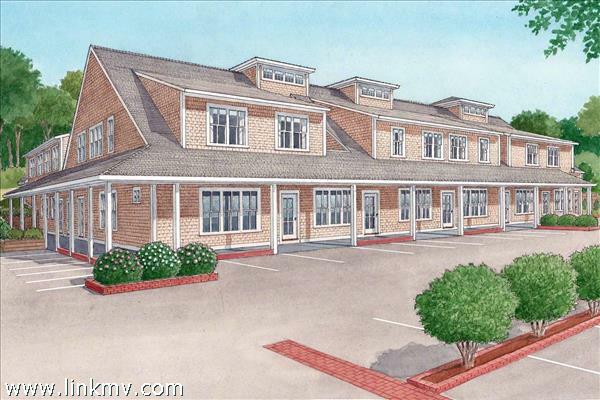 The airy floor plan offers a family-friendly open kitchen, living and dining area, a master bedroom, and a guest wing with three more bedrooms. 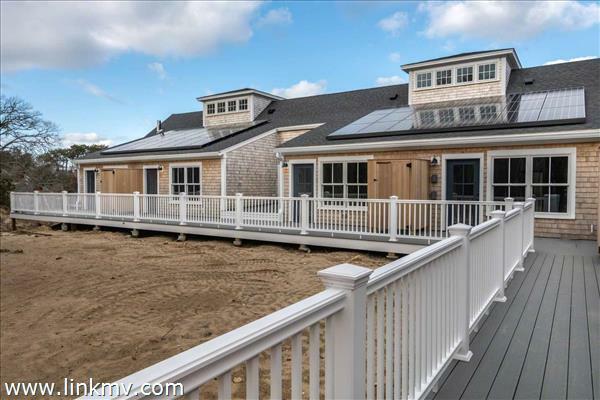 The lower level is finished, adding about 1350 square feet of space including a spacious 30' x 20' recreation room and laundry room. 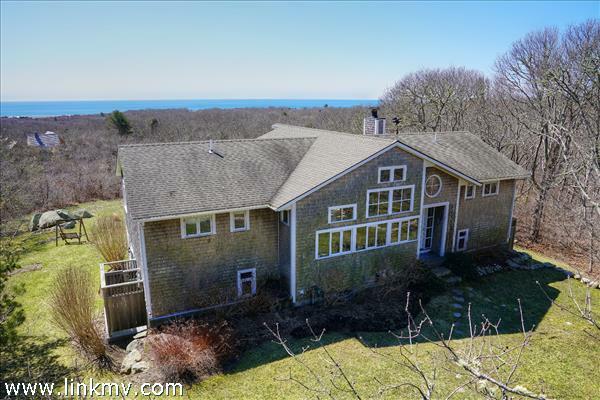 The property is surrounded by stone walls, a bluestone patio facing the Atlantic, and a path to the Pond (with rights to build an elevated walkway and kayak rack). 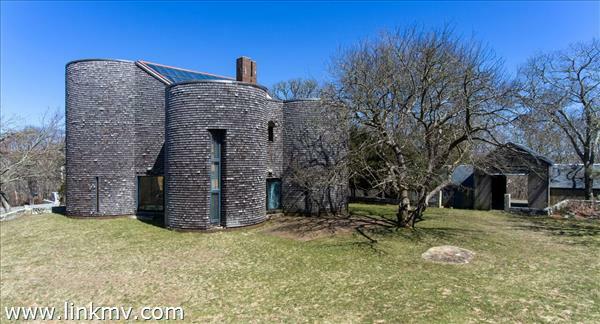 Originally known as the Hilly Mayhew House, this property was for over 80 years the haven for the international modernist painter Vaclav Vytlacil and his family. 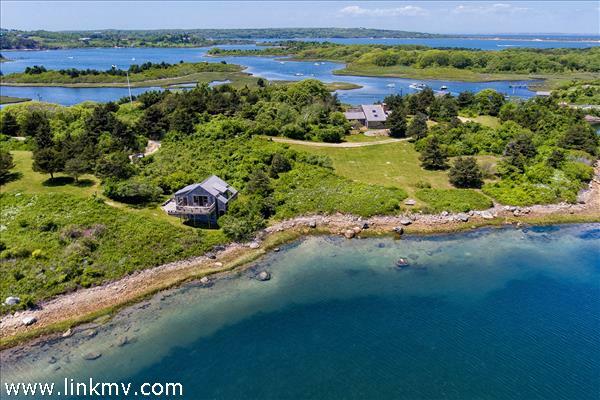 He created hundreds of seascapes and harbor scenes of the Vineyard, many of which can still be found on the island and around the world. 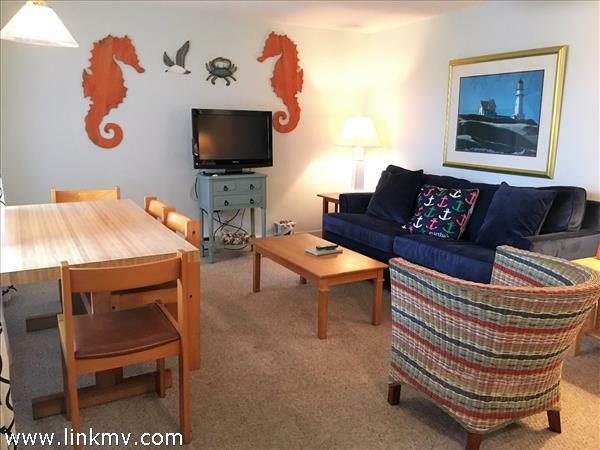 Walk to the beach, kayak in the pond, or just sit out on your patio watching the day unfold, osprey fish and surfers ride the waves. 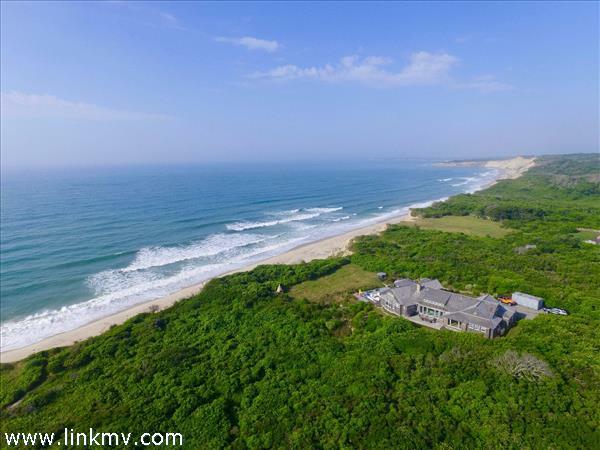 Rarest of the rare - Ocean-view Chilmark home with swimming pool, 440 feet of private ocean beach, and big, beauteous ocean views. 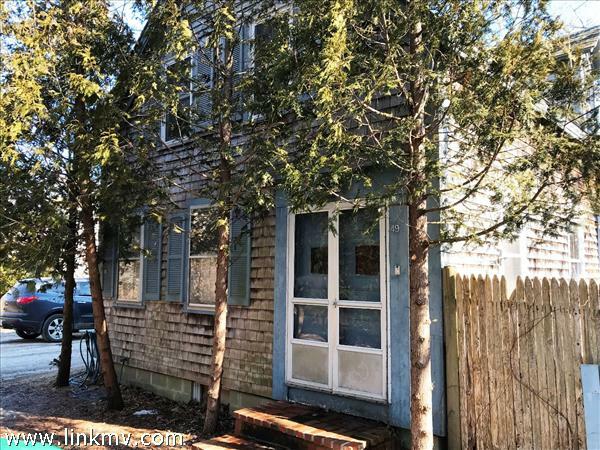 The house is being completely renovated and price shown is for the completed product. 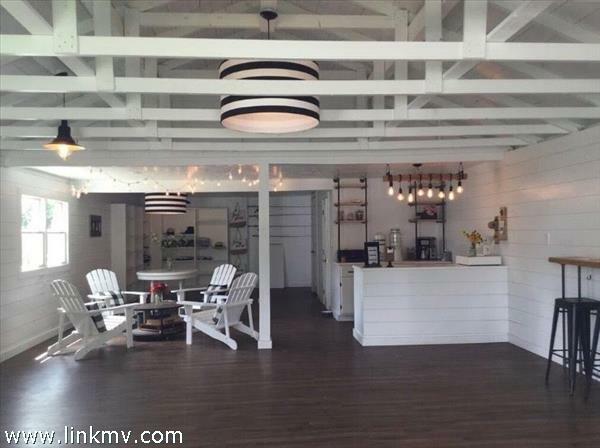 Note that the images shown are of the house BEFORE renovation. 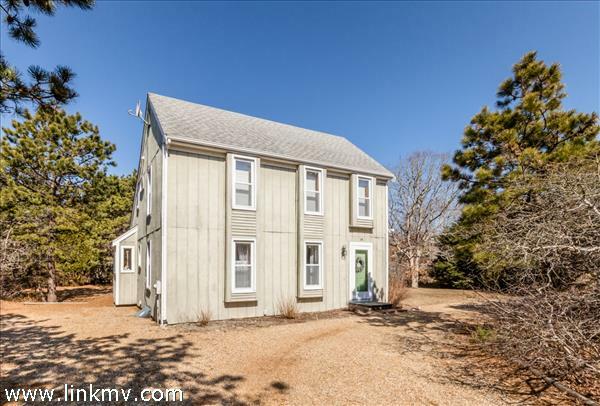 Detached garage. 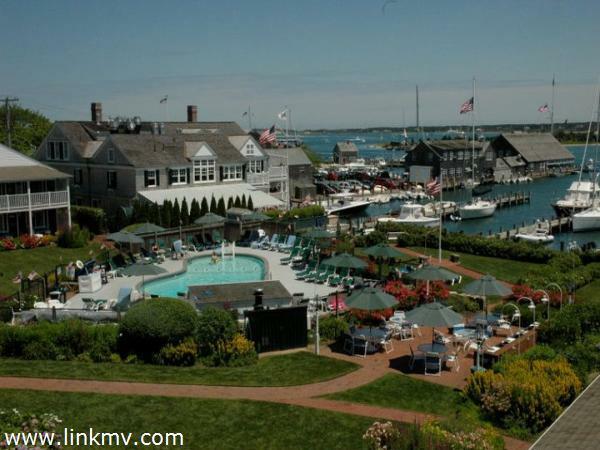 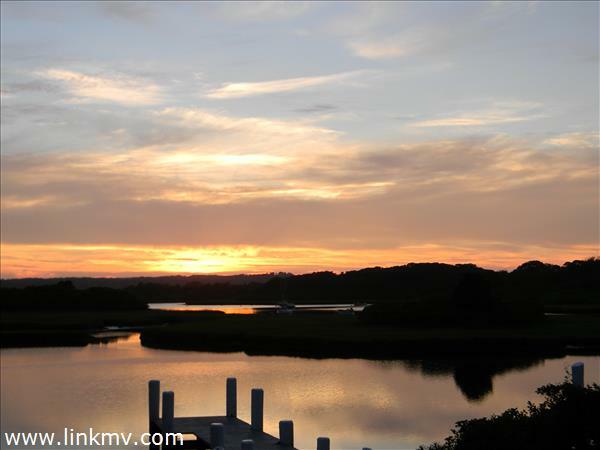 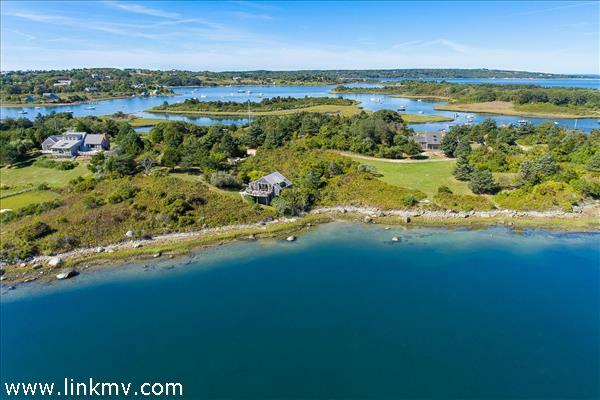 Spectacular 3 home waterfront Chilmark estate on 5.4 acres with private dock on Stonewall Pond. 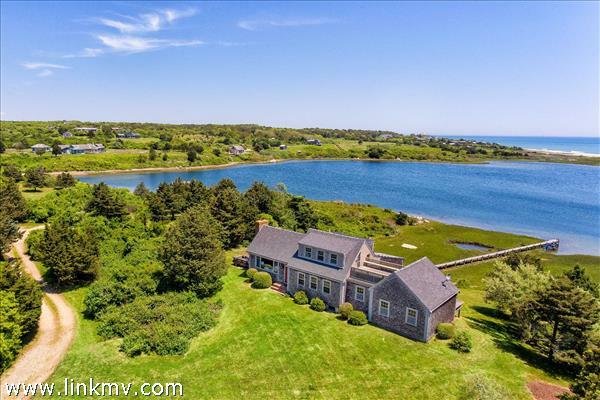 Breathtaking one-of-a-kind views across Stonewall Pond out to the Atlantic from all 3 homes as well as stunning views of Quitsa Pond. 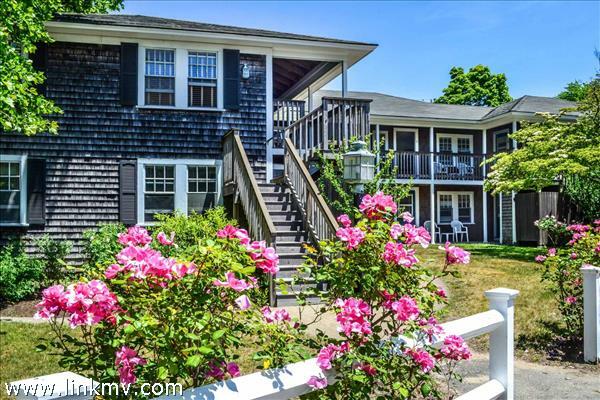 Each of the homes is charming and beautifully maintained, with its own Vineyard history. 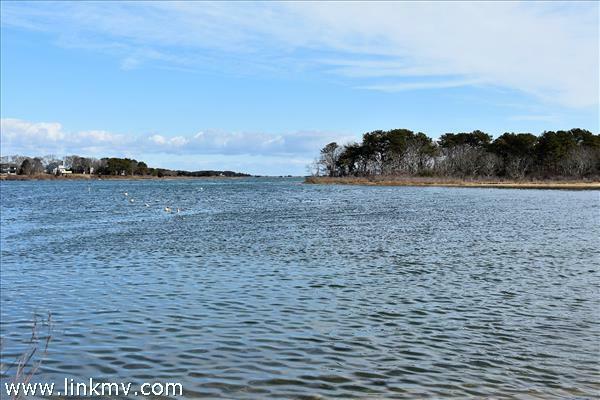 Paradise is located at the magical intersection of the Atlantic Ocean and Stonewall Pond. 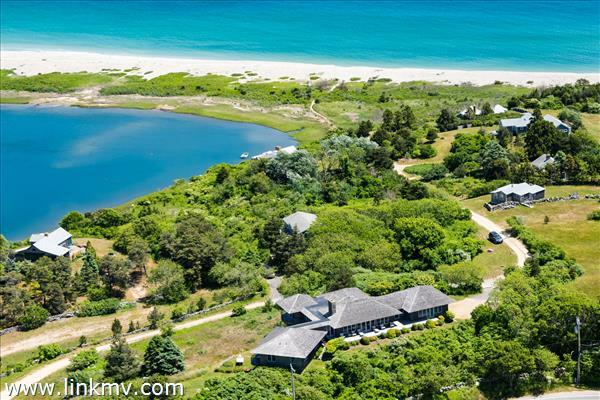 A true seaside retreat, this 4-acre property with main house and guesthouse welcomes you to an enchanted life. 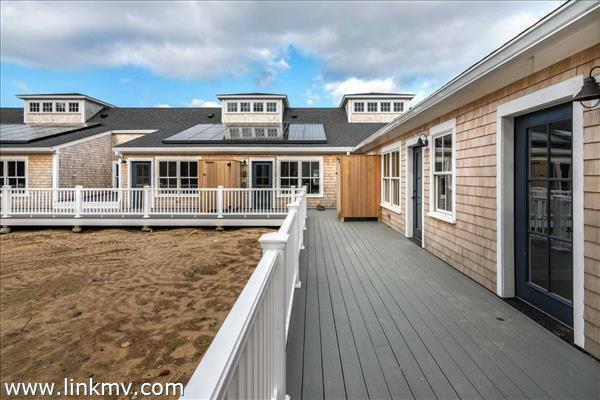 Massive sliding glass doors that showcase truly unparalleled views grace nearly every room. 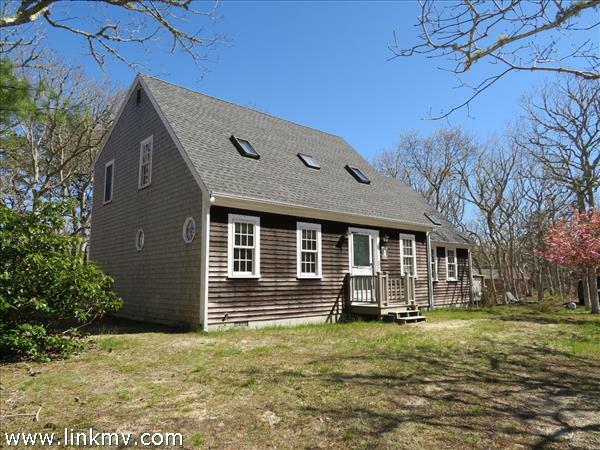 Interior space flows out to decks, past a sprawling lawn to beautiful Stonewall Beach and tranquil Stonewall Pond. 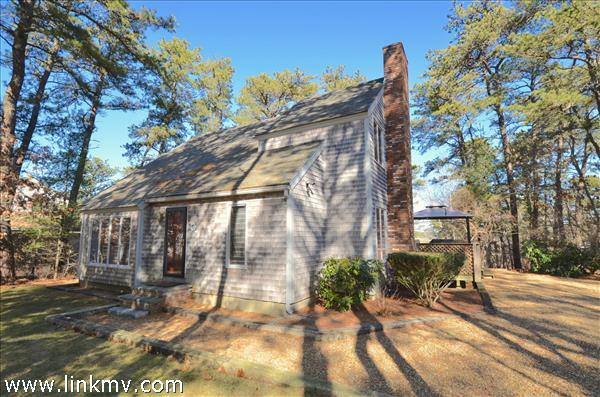 You'll enjoy the amenities at the main house with its chef's kitchen, living room with fireplace, 4-bedrooms and 4.5-baths. 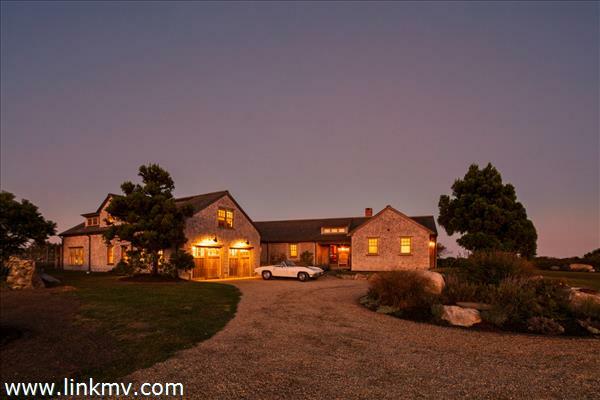 The guesthouse with fieldstone fireplace offers an intimate setting steeped with Vineyard charm. 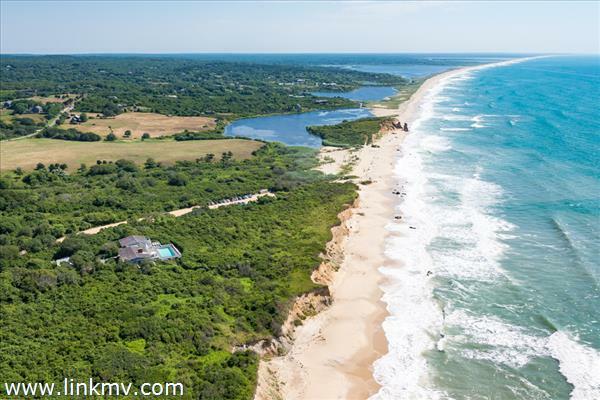 Short paths lead to swimming, kayaking, surfing, the treats of summer. 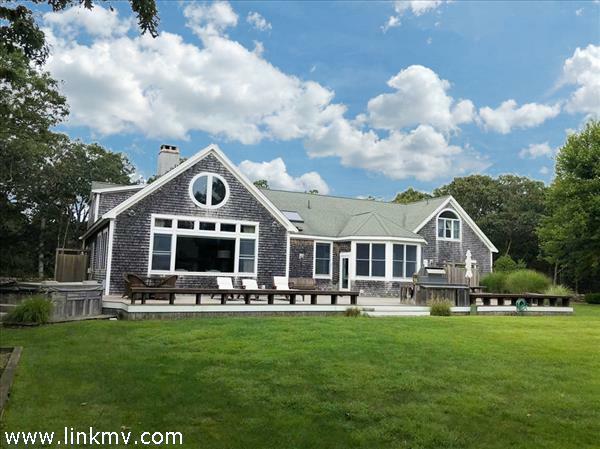 In the category of a property that embodies the spirit of the Vineyard, this is top of the class.Enjoy the virtual tours of these properties found in the external links section. 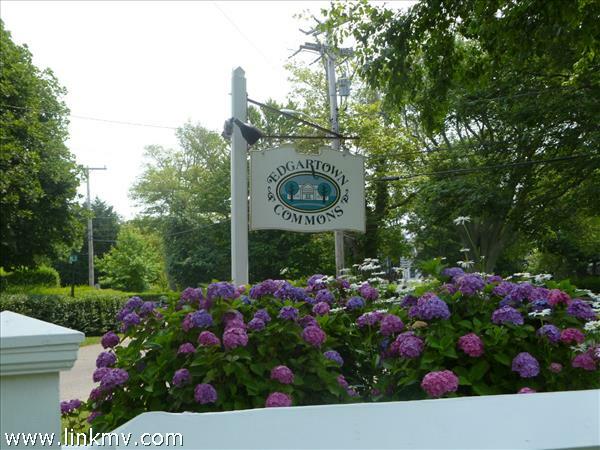 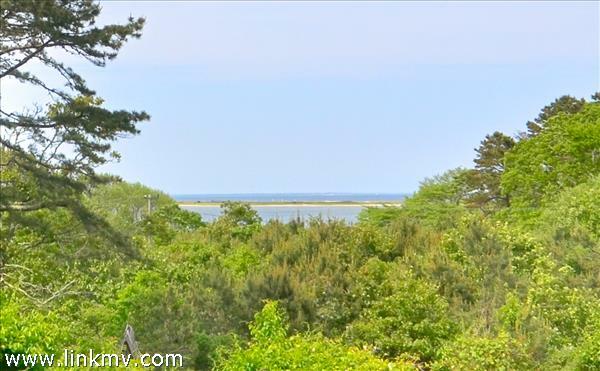 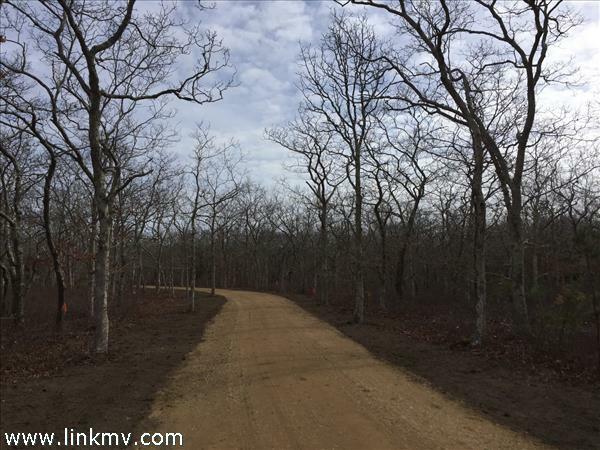 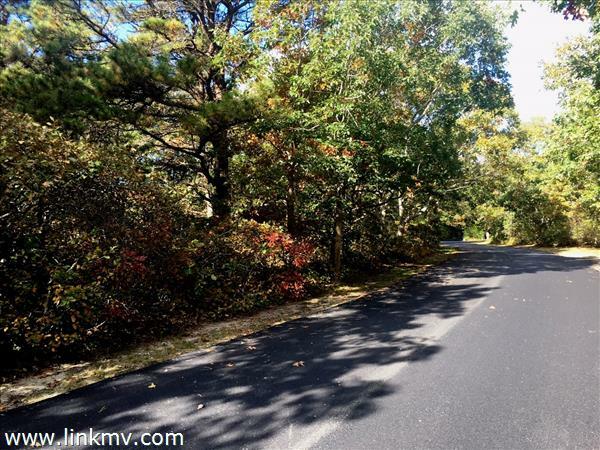 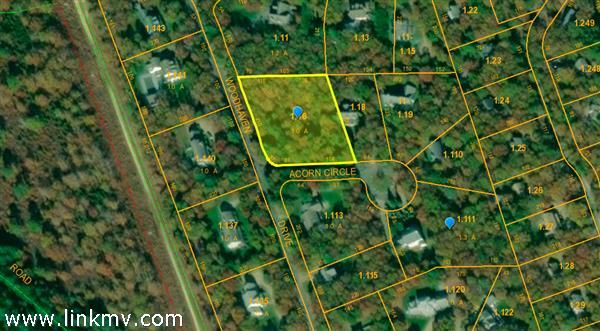 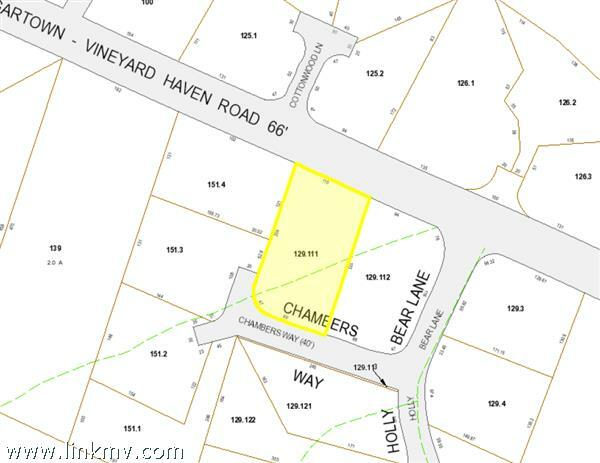 Lovely half acre lot in desirable Edgartown Estates with utilities at the street. 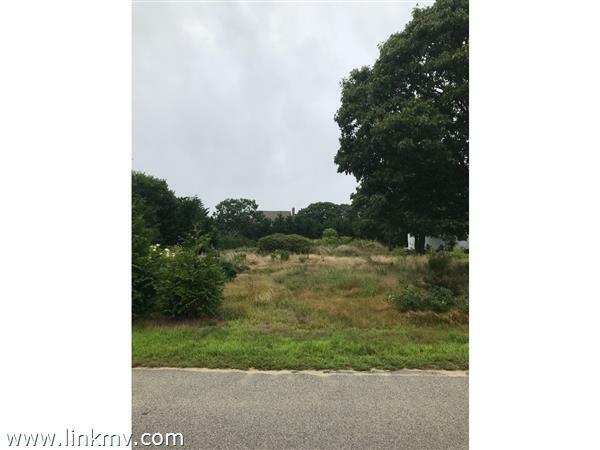 Two bedroom lot that could have 3 bedrooms with BOH variance and enhanced septic system.